For this analysis we chose a college in South India which conducted a campus recruitment drive for a major IT company during the third quarter of 2014. The company is one of the top recruiters in the Indian IT sector. The college is located in a tier-2 town in Andhra Pradesh. Out of the 404 students of this college who applied and participated in the recruitment process, 144 were trained by us in various programs during the first quarters of 2013 and 2014. The detailed analysis of their performance is below. A total of 144 students trained by Skyfi Labs participated in the campus drive out of which 54 were recruited – which translates to a success rate of 37.5%. From the 260 other students, 75 were recruited – a success rate of 28.8% for the job. 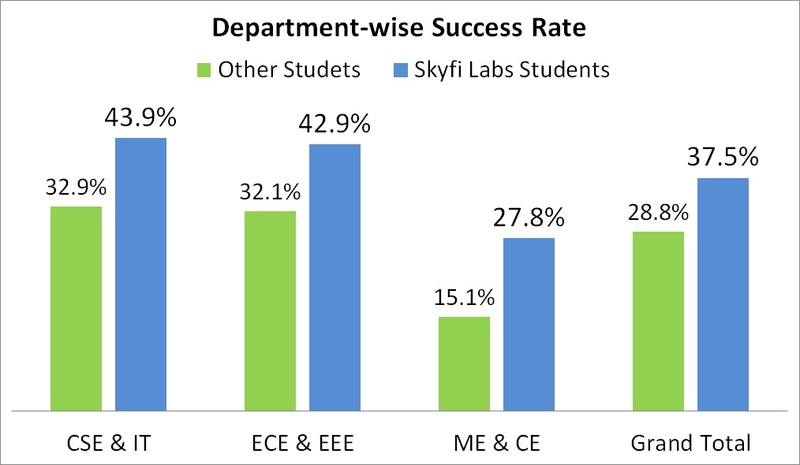 Skyfi Labs trained students showed a clear improvement compared to other students in almost all departments. All 9 pointers were recruited irrespective of whether they participated in Skyfi Labs programs or not. 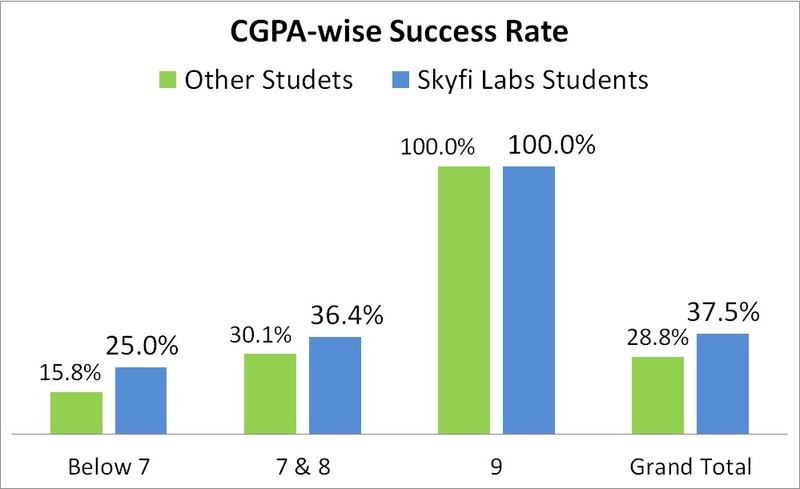 Across all other CGPAs, Skyfi Labs students performed better. All our training programs are hands-on and are designed to improve the practical and application skills of students pursuing engineering studies. While doing these hands-on courses, students work in teams and hence develop several other skills like team work, communication etc. Such hands-on projects also play an important role in enhacing the creativity and result-oriented thinking of the students. Confidence of students gets improved significantly when they see their projects succesfully functioning. This helps them in their interview performance as they approach the interview with a positive mindset. We have seen several cases where this confidence has driven them to take up several other innovative projects on their own. A combination of all of this is what makes these students undertaking Skyfi Labs training programs perform better in the interviews compared to their batchmates. 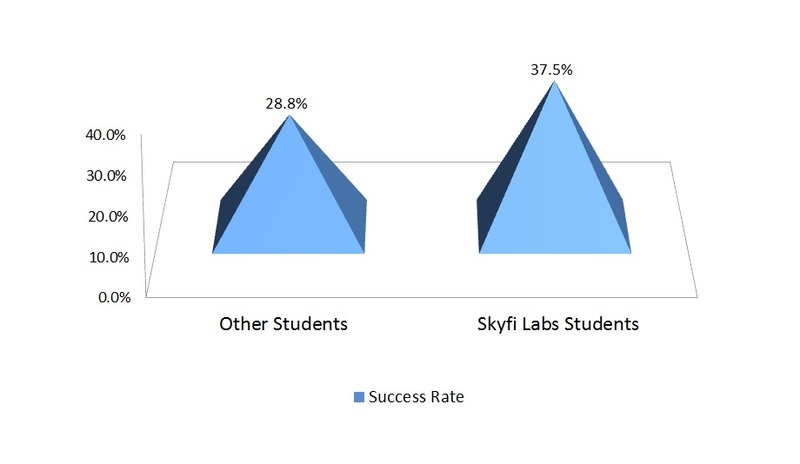 While Skyfi Labs might not be the only factor contributing to their success, we are happy to be one of those factors having a positive impact in improving students employability. This is the first batch of students that graduated from our training programs and this result gave a huge boost to our energy levels. 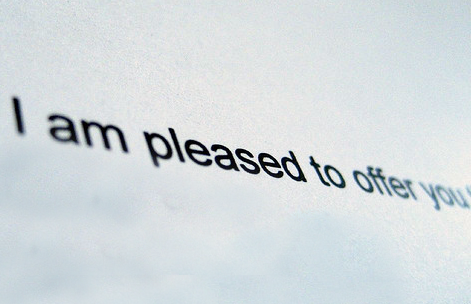 We are now working with even more passion towards achieving our goal of making students more employable. We take continuous feedback from industry and academia using which we keep improving our courses. Through such improvement and training expertise gained over time, we are looking forward to creating much bigger impact in the future years.